Wyoming 291 begins from the Yellowstone Highway 1-1/2 miles west of Cody’s Buffalo Bill Center of the West, skirts Cedar Mountain, and continues toward the Buffalo Bill Reservoir. 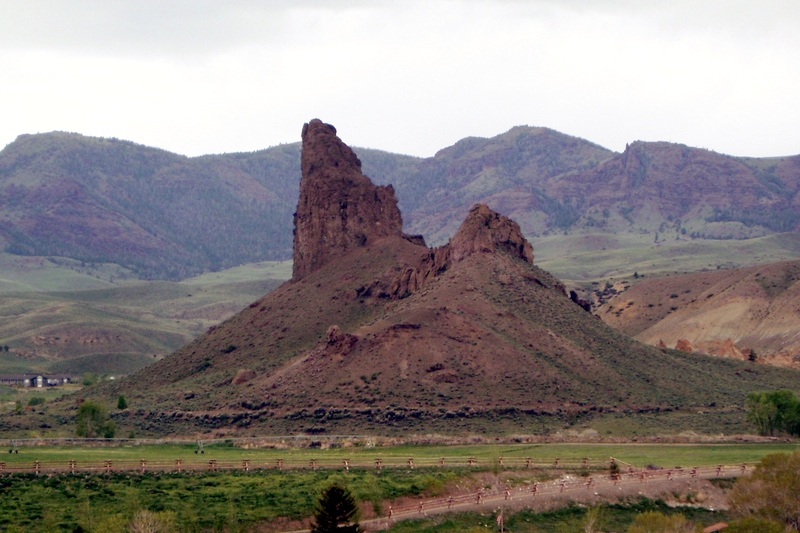 The route continues through the scenic valley of the South Fork of the Shoshone River where Castle Rock, a prominent volcanic intrusion, stands. The rugged pyramids of the Washakie wilderness tower over the valley floor, where working ranches carry on old traditions. Among these is Buffalo Bill Cody’s original TE Ranch, which was built in 1895. Dude ranching had its origin here in 1915 at Valley Ranch. Larry Larom, one of the founders of Valley Ranch, was instrumental in the formation of the Dude Ranchers’ Association and served as its president from 1926 to 1944. Valley Ranch’s first guests were from the East, where most were listed on New York’s Social Register. Families would arrive via the Northern Pacific Railroad and stay for weeks or even months at a time. In 1922, Valley Ranch offered educational facilities for boys, and by 1925 Valley Ranch School was one of the only three institutions in the Rocky Mountain area where College Entrance Examination Boards were given. Due to the recession, Valley School ceased operations in 1934. Valley ranch is now privately owned. The South Fork is the wintering ground for one of the largest herds of bighorn sheep in America, and provides forage for herds of pronghorn antelope, elk, and deer as well. Enjoy a picnic lunch at the Deer Creek campground near the end of the South Fork road. Make sure you have a full gas tank, as no services are available on this remote, dead-end road.